DPN is the first financial institution in Australia to launch Apple Business Chat. This is a new way for customers to communicate directly with businesses using the Messages app on their iPhone, iPad or Mac. 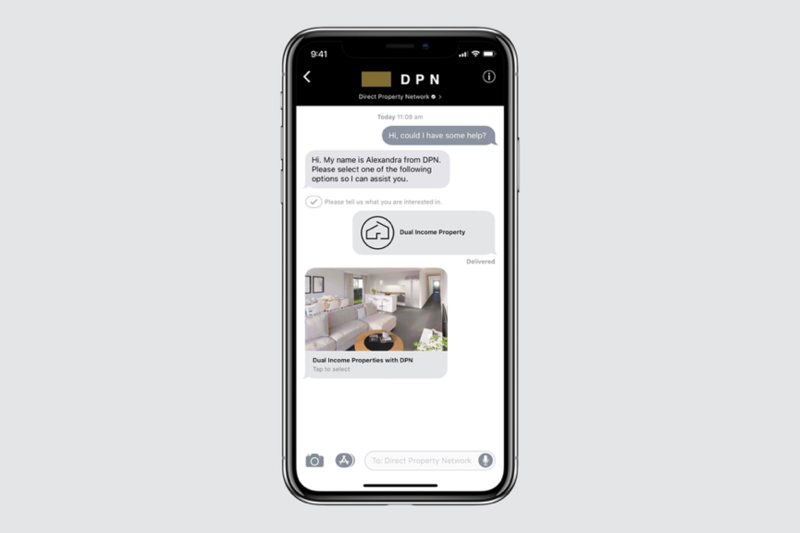 “Today’s customers want to contact businesses quickly and easily, when it’s convenient for them, wherever they are and with the technology on hand.” said DPN’s Marketing Leader, David Bruce. 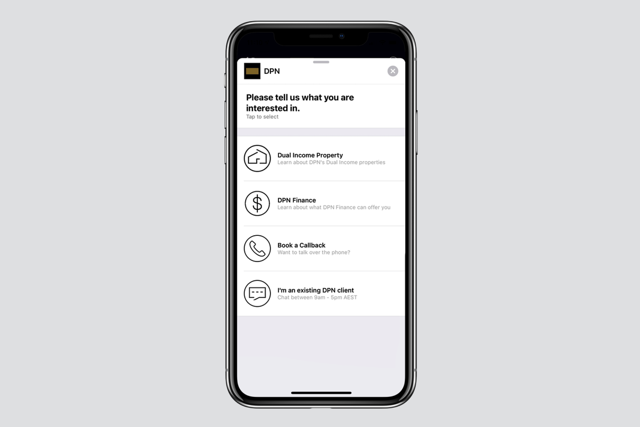 With Apple Business Chat, customers can contact DPN’s local Customer Relationship Team who are on the ground in Sydney, dedicated to helping people build wealth through property and smart financial solutions. Not only is DPN is the first financial institution in Australia to offer the technology; it is the third company in Australia, joining Telstra and Harvey Norman. Alexandra helps a customer on Apple Business Chat. The property investment and financial service enterprise based in Sydney, Australia has a history of harnessing new customer solutions. Recognised in the industry, DPN was awarded Best Innovator in the 2018 Better Business Awards following its 2017 achievement as Innovator of the Year by the ABA. Users of Apple Business Chat can rest assured their data is safe and secure. They will remain anonymous as well, meaning you choose what information you provide and when. Messages are rich and interactive with the use of list pickers and rich video content making the conversations more effective than ever. Find out about DPN’s services at a glance. DPN utilised the Zendesk Support platform to integrate with the Apple Business Chat platform. To start an Apple Business Chat conversation, customers can click the ‘Chat with Messages' button on the DPN website. A conversation with DPN will open instantly in the Messages app, and users can take their time responding when it’s convenient. You can also find DPN on your iOS device by searching “DPN” in Safari, Maps, Search and Siri. DPN is an Australian owned business established in 1996 and employs more than 60 people nationally. It is their mission to help everyday people live the life they want by achieving greater financial independence. They do this by providing innovative finance, property investment and property management solutions, mentoring and education.